Submitted by Simon Coleman on Sun, 7 Dec 2014 - 20:18. Here are a few images that show glimpses of the allotments. The first image (top left) shows hanger Hill Farm Diary that was occupied by Mr & Mrs C. Millard a Dairy Farmer. His wife worked in the diary which her husband Chas. millard was listed in the census as working "Out". To the right of the picture is the top of the allotments. A white gate can be seen at the top of what is now known as Radbourne Walk. 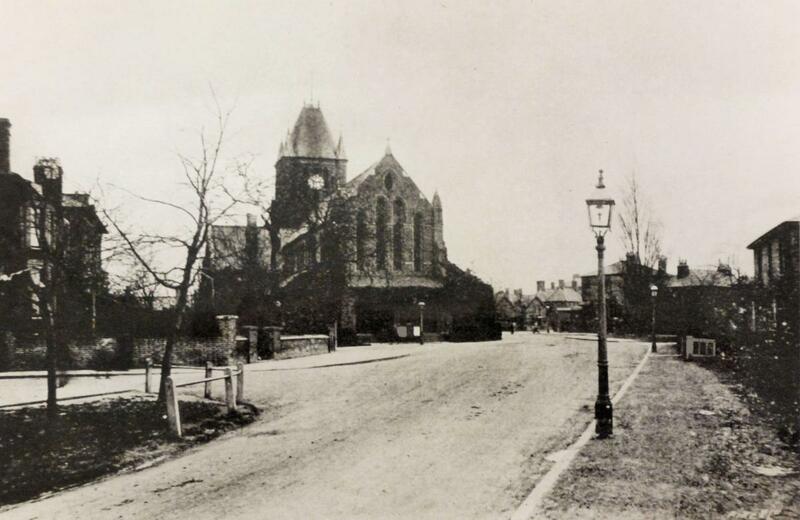 The second image (top right) shows Ealing Cottage Hospital in around 1905. This Hospital was not purpose built but houses owned by Samuel Minton. A group of local worthies led by the Rev JJ Summerhayes of St John’s Mattock Lane, promoted the idea of the hospital and bought the houses and opened the hospital around 1869. The hospital then outgrew the premises and moved to Mattock Lane in 1911 as the King Edward memorial Hospital where it remained until 1979. The Cottage hospital was demolished in 1912 and a Kinema built in its place. In the picture the allotments can be seen on the right behind the hourse and cart. The third image (bottom left) show St. John's Church in 1893. The church built in 1876 by Edwin Henry Horne. 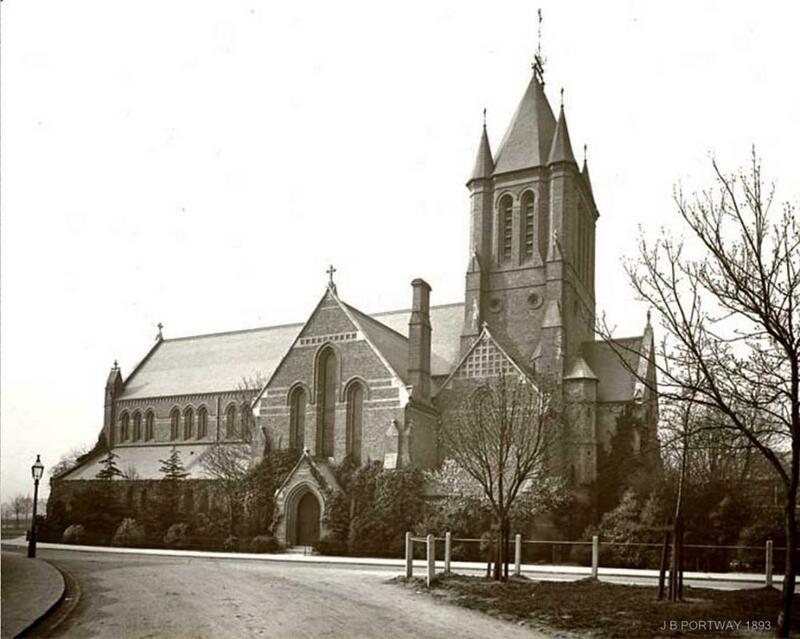 According to church documents, in the late 19th century the church founded the local cottage hospital and St John's School, and in early years of the 20th century recorded regular congregations of more than 1000 at both morning and evening services. In this picture the allotments can be seen to the left. This area appears flat an avoid of any crops. There was a path known as "Church path" that ran across the allotments to the Uxbridge road. The final image (bottom right) show Mattock Lane in winter in 1904. 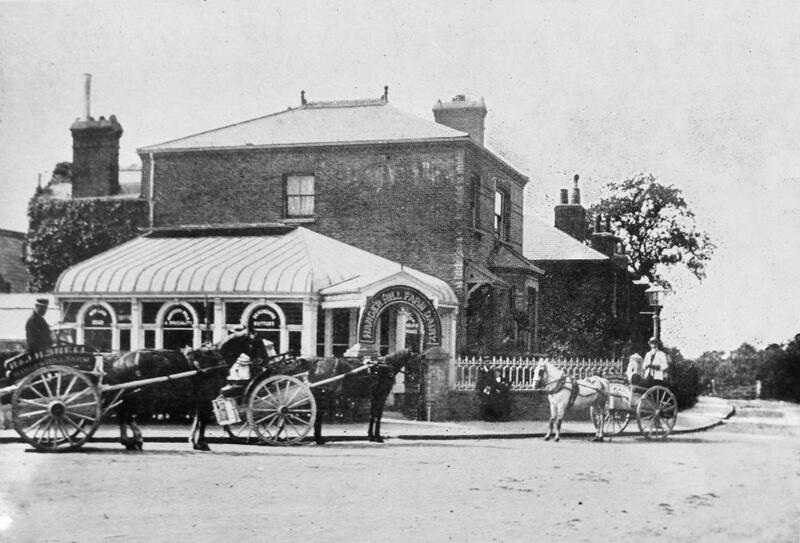 The building on the right was built by Henry Morton a Butchers clerk in c.1865 and is still standing in Mattock Lane. He bought the land from Mr. Hill after a contesting the land with the Allotment committee in the 1860's. c 1900. Ealing Cottage Hospital rebuilt as the Kinema. Allotment on the Right of the picture background. 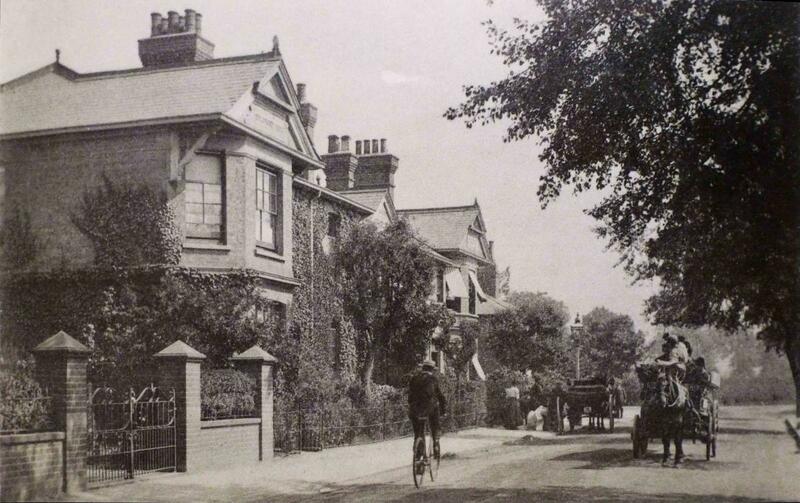 1904 The house on the right was built by Mr Henry Morton a Butchers clerk in c.1865 and is still standing in Mattock Lane.